We’ve heard much regarding rumors that Apple plans to bring an iWatch to market this year, although Apple has said nothing regarding the subject so far. Still, that hasn’t stopped developers from conceiving the long-rumored mobile wearable, and concepts are often created to influence what Apple may announce in the future. 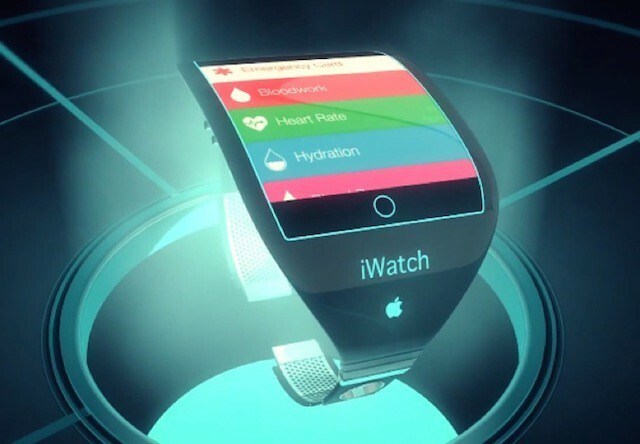 Mindspivision’s very own Danny Mindspi has created a fabulous iWatch concept that seeks to integrate iOS 8’s rumored Healthbook app addition that is aimed for the health-conscious among us. Mindspi’s own iWatch concept shows a smartwatch that seems to connect the armband with the watchface, a rather metal unibody construction. The square watchface does have some rounded corners, however, as it is designed to go along with the unibody construction rather than detract from it. The time and date of the iWatch is rounded, which is probably more of a confession from Mindspi that Apple could go either way with the iWatch shape (it’s a concept, remember?). The iWatch also features iOS 7 with the exception of Healthbook (rumored to be an iOS 8 feature) although we’re sure Apple will bring iOS 8 to the iWatch along with the iPhone 5s and iPhone 6. Mindspi’s taken the mobile iOS concept and placed it on the iWatch screen; interestingly enough, however, he then features the health cards concept that we’ve seen with iOS 8 photos. The dynamic wallpaper in the background of the iWatch comes from iOS 7, and we’re sure that, if Apple brings iOS 8 to the iWatch, a new kind of wallpaper will follow to celebrate the latest mobile operating system. As for what Healthbook offers, Mindspi provides oxygen saturation, sleep, blood sugar, respiratory rate, blood pressure, activity, and nutrition. Even an emergency card is provided, probably for those who have existing medical conditions that need to keep a mobile card on their person at all times. Today’s physical “emergency cards” consists of diabetes bracelets and medical bracelets of all kinds. This would certainly benefit those who would rather wear a stylish iWatch than wear a medical bracelet whose only purpose is to provide on-the-spot medical information. Mindspi’s iWatch concept has a few things going for it. First, it comes with the mobile OS layout that we think should characterize any Apple smartwatch. If Apple looks to release a smartwatch that connects to your iPhone via Bluetooth, it should have a mobile OS look to it. Next, there’s even an interesting “home button” on the watch, which, with a green glow to it, looks as if Mindspi possibly imagines some sort of Touch ID on future iWatch models. If Apple looks to bring its Touch ID to all iDevices, why not the iWatch? We’re all for added security on our mobile devices. The glow-in-the-dark backlight would be a cool feature as well. After all, a number of iPhone users would love to be able to have some sort of lighting when in the dark. Smartphones have a feature already that lights up the screen when you press the home button to turn on a phone that’s been in standby mode; bringing a backlight to the iWatch would place it alongside of the Pebble smartwatch. As to how Apple would integrate a backlight (whether an on/off switch or as a motion-based function) or not is something to look forward to. Do you like Mindspi’s concept? What do you think he should change? 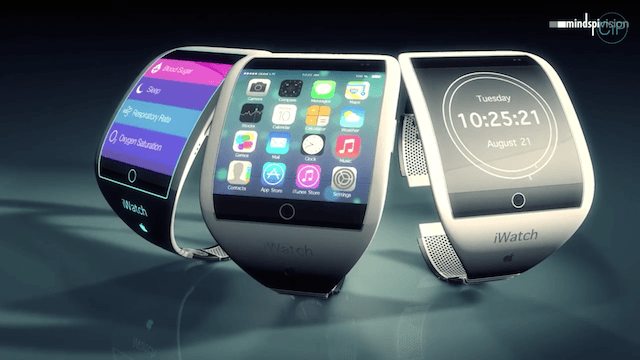 What is your ideal version of the iWatch? Let us know whether or not you’re ready for this iWearable in the comments below. Really hope these concept features get read by Apple and get done!